Inside compartments for phone, pens, name cards, etc. 41.5cm length, 29.5cm height, 6.5cm depth, 12cm handle drop, 116-128cm shoulder strap, 1.5kg weight. Model is 6'2" tall. ﻿Our signature slim briefcase in smooth leather. The briefcase's construction gives it an uncommonly sleek and refined look. 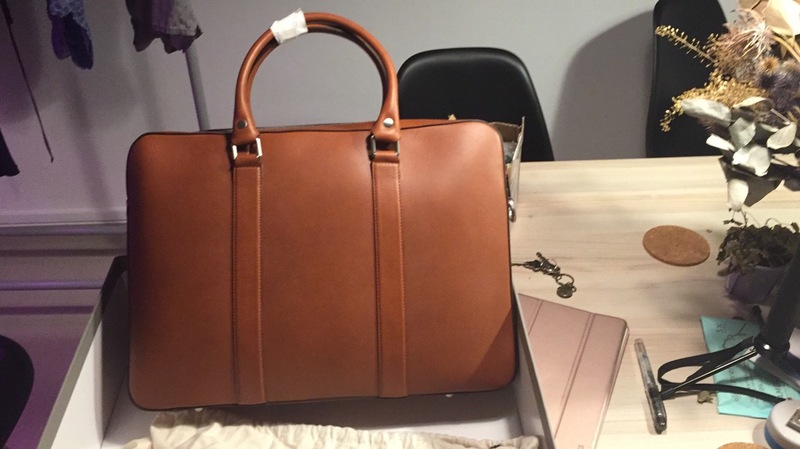 Made in the same factory as luxury brands, this briefcase is a bargain given the quality of materials, and it has gained something of a cult status among men's style aficionados. I’m stoked with my new briefcase- looks great, smells great, feels great. It makes going to work a pleasure! Very pleased with the aesthetics and delivery. Our Soft Briefcases, we use a special—and difficult—construction method that gives the bag a sleek, refined silhouette. Only a few manufacturers are able to make bags like this. You won't find another bag out there constructed this way for less than $2,500 USD. Named "Best Leather Briefcase" by The Wirecutter. 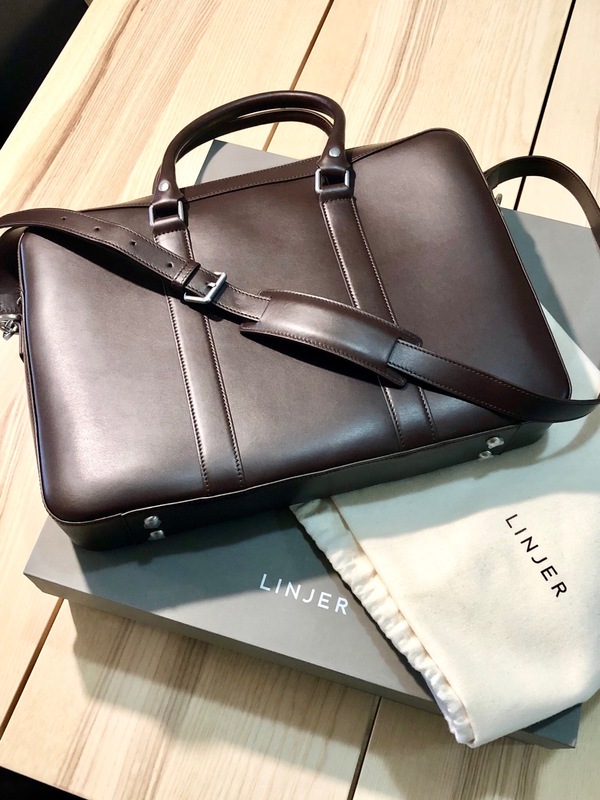 "Why it’s great: The Linjer’s clean lines, firm structure, and impressive detailing stand out from other briefcases, and mark it as more at home in a formal business setting." 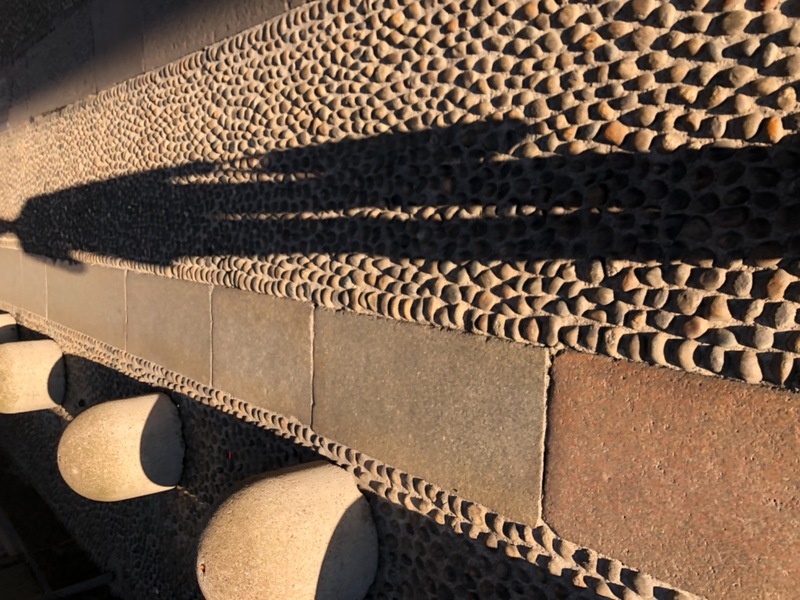 We select the best materials for our products. This briefcase is made with a smooth Italian leather (specially treated for more weather resistance), and sports a YKK Excella zipper from YKK's luxury line. Crafted in the same factory as luxury brands, but sold at a fraction of the price of traditional luxury bags. 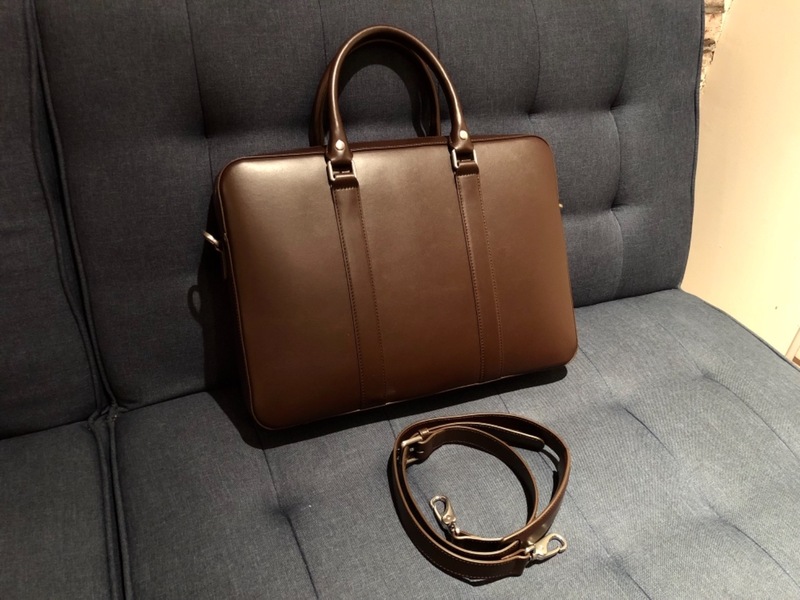 [The Linjer Soft Briefcase] is a really good deal: it’s rare to see a briefcase with such even leather coloration, precise stitching, and firm structure at this price. denny623 On The Run. #ootd. My work for @linjerco leather goods featuring their all black briefcase. More on the blog. Get yours now! #linjerco. #dennybalmaceda #lookrichshopcheap #menswear #gqinsider #dennyjumps. Shot by @wearenomads_.